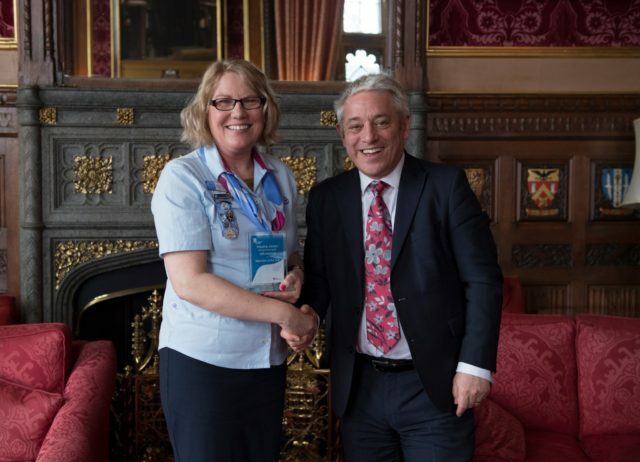 Girlguiding Anglia region lead volunteer Maxine Jones has won the Your UK Parliament’s Volunteer of the Year Award. Maxine, who is the Marketing, Retail and Communications volunteer for Girlguiding Anglia region, designed and wrote the additional activities in the region Parliament Week resource with input from a young member as useful experience for her. Maxine promoted all the Vote 100 opportunities on offer to our members including EqualiTeas, Parliament Week, Processions and Lords Shadowing event. She also facilitated the Phenomenal Women and Girls Challenge which enabled our members who took part to think about and discuss the women who they believe are strong, influential or inspirational to them. Engaging in the VOTE 100 and Parliament Week activities made a difference to how many of our young members feel about democracy, Parliament and voting, the history of Parliament, the suffragette movement and influential women. Award winners were chosen by the Speaker of the House of Commons, a judging panel of MPs and independent judges. The Your UK Parliament Awards ceremony was hosted by the Speaker in the Houses of Parliament on Tuesday 2 April 2019.